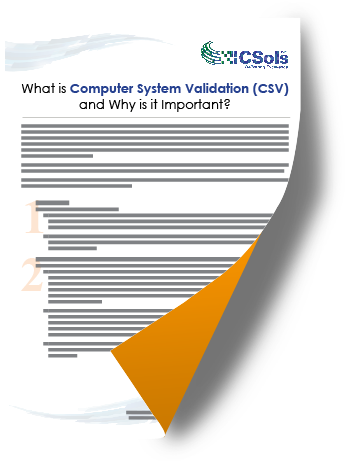 What is Computer System Validation (CSV) and Why is it Important? Many organizations are not experienced at performing a Computer System Validation. The information presented in this document will outline what a CSV is and why it needs to be completed. Please fill out the form below to be granted access to this document.